Mattias Adolfsson is a Swedish illustrator who uses fountain pens for detailed drawings. I became enchanted with his work via Fountain Pen Network ten years ago when he posted a drawing done with a Namiki Falcon and Diamine Monaco Red. The duo is lovely for drawing and elegant for shading as well as simplicity. Sometimes I let the nib release a little extra ink and move it around with a swab, toothpick or small brush. Otherwise, the expressive line from the nib is gorgeous on its own. 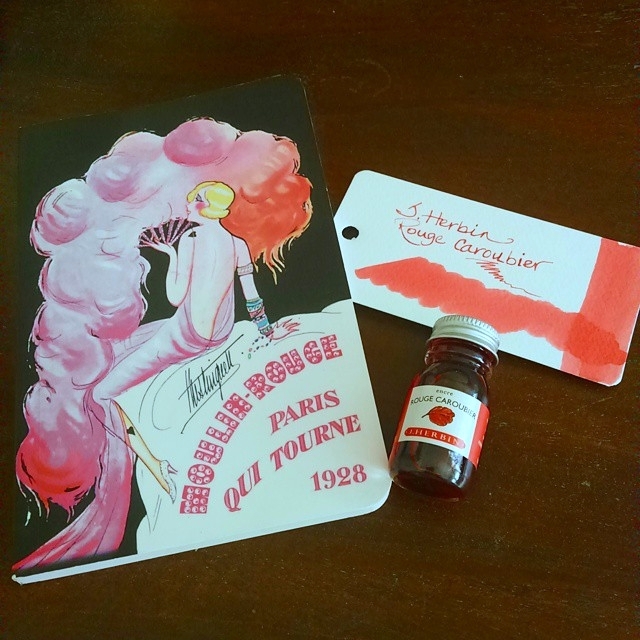 Any ink will do, though J. Herbin Lie de The is an especially good alternative. My Stillman & Birn Sketchbook loves the attention and with Mattias for inspiration, it’s a win-win activity. 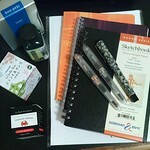 Tools mentioned are available at Amazon: Pilot Namiki Falcon SF, Stillman & Birn Sketchbook, Diamine Monaco Red, and J. Herbin Lie de The. Need a mid-week boost? Mostly pen use related links this time but a few other tidbits as well. Notebook Loves Pen has some beautiful and artistic journals here, here and here. Platinum Mix Free Ink will land in the U.S. soon. The Pen Addict has a new gig. Are you a fan of fountain pen artist Mattias Adolfsson?